The University aims to be a globally recognised organisation encouraging academic excellence through interdisciplinary applied research and to expand realms of knowledge through innovation. 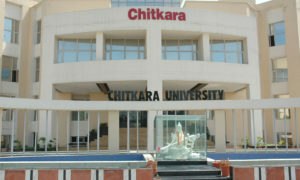 In the year 2002, Chitkara Educational Trust founded its Punjab campus and Chitkara University was established by the Punjab State Legislature under “The Chitkara University Act” in the year 2010. Being one of the best universities in Punjab, it is recognised by the government with the right to confer degrees as per the Sections 2(f) and 22(1) of the UGC Act, 1956. Presently, it has more than 13,000 students and 800 faculty members. The university has a sprawling campus of 65 plus acres of land with 40 percent of green landscaping. It has world class laboratories with ICT facilities. The campus is equipped with sports facilities, playgrounds/ tracks, in-campus banking, courier, and shopping facilities. 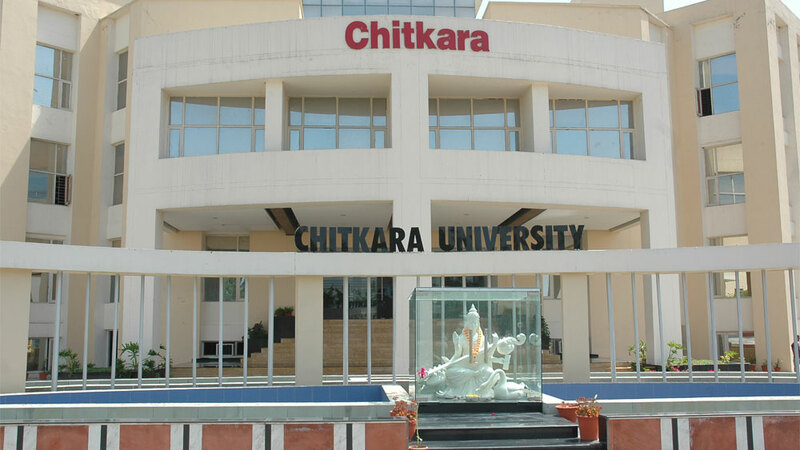 Chitkara has 12 schools of engineering, management, architecture, nursing, healthcare, pharmacy, media, arts & design, education, hospitality, applied sciences, and applied engineering. The university also has industry tie-ups with renowned organisations. Ranked among top 20 private universities of India, it has unmatched record of the best placements in top companies such as Infosys, Deloitte, Google, L&T, Godrej, SAP, Pepsico, Ericsson, Microsoft, Wipro, HCL, Hindustan Lever Limited, EClerx, Morgan Stanley, Citibank, Standard Chartered Bank, Ernst & Young, Evalueserve, Phillips, Dabur, and many more for the students of engineering and management. “Explore Your Potential” is the tagline of the university. They employ a group of talented faculty which includes academic scholars, experts who advise top Indian corporations, and the authors of important texts in technology and business. The university also has faculty who develop fresh approaches in labor relations, information management, human resources, and many other fields. Chitkara organises Global Week every year in which more than 75 accomplished, eminent, and distinguished faculty from around 22 countries, across 53 universities from six continents conduct educational sessions for more than 3000 students. 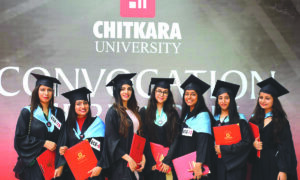 Chitkara has produced around 30,000 graduates who have been successful at various walks of life and are very well settled across the globe. Pranav Arya(ME Batch 2002) is a pilot for the President of India and Shivum of CSE Batch 2003 is a MiG Fighter Pilot. Amandeep Singh Sidhu (ME Batch 2002) is 2nd Lead at Amazon in California. Ushank Khanna(CSE Batch 2003) is working in the New York Stock Exchange. JaiveerBawa(Batch 2009 CSPA) is working with CENTRUS and is a visionary architect and project manager for the Parliament Hill Rehabilitation project which is currently the world’s largest rehabilitation and heritage restoration project ever undertaken. Gunraj(CSE Batch 2011) is working with Google. Gunveen Kaur(CSE Batch 2003) is HCL Lead and Hema Nagpal (CSE Batch 2011) is working with Toshiba,a Japanese multinational conglomerate headquartered in Tokyo. NIRF Ranked Chitkara College of Pharmacy 50th under Pharmacy Category. Is Higher Education preparing youth rightly for challenges ahead?